Rt. 287 South to the Rt. 202/206 South exit (Somerville). Stay in right lane of exit ramp. As ramp merges with Rt. 202/206, make a quick right turn onto the Commons Way exit. At the end of the ramp, (at light) make a right onto Commons Way. Parking & fields are on your left. Rt. 287 North to the Rt. 22 West exit. Proceed to exit for Rt. 202/206 north. After a short distance on Rt. 202/206 take the Commons Way/Garretson Rd. exit. At end of ramp (at light) turn left onto Commons Way. At the 2nd traffic light turn left onto Garretson Rd. Parking & fields are on the left. Rt. 202/206 Somerville Circle to Commons Way/Garretson Rd. exit. See FROM SOUTH above. Route 78 east to Route 287 south. Follow directions FROM NORTH above. Rt. 78 West to Rt. 287 South. Follow directions FROM NORTH above. Rt. 287 South to the Rt. 202/206 South exit (Somerville).Stay in right lane of exit ramp. As ramp merges with Rt. 202/206, make a quick right turn onto the Commons Way exit. At the end of the ramp, (at light) make a right onto Commons Way. Parking & fields are on your left. Rt. 78 West to Rt. 287 South.Follow directions FROM NORTH above. Rt. 287 South to the Rt. 202/206 South exit (Somerville).Stay in right lane of exit ramp. As ramp merges with Rt. 202/206, make a quick right turn onto the Commons Way exit. At the end of the ramp, (at light) make a right onto Commons Way. At the next traffic light turn left onto Garretson Rd. Go past baseball field, turn left into first driveway at high school – follow road behind school. Field is marked by the number 12 on map below. Parking & field are on the left. Rt. 287 North to the Rt. 22 West exit. Proceed to exit for Rt. 202/206 north. After a short distance on Rt. 202/206 take the Commons Way/Garretson Rd. exit. At end of ramp (at light) turn left onto Commons Way. At the 2nd traffic light turn left onto Garretson Rd. Rt. 287 south to the Rt. 202/206 Exit (Somerville). Stay in right lane of exit ramp. As ramp merges with Rt. 202/206, make a quick right turn onto the Commons Way exit. At end of ramp turn left onto Commons Way. You will be going around the mall. Go to third light and turn left onto Prince Rogers Ave. Go to the first light at N. Bridge St. and make a left onto N. Bridge Street. Follow past the Green Knoll Fire Station, still proceed until Mine Road. Make a right onto Mine Road. Take to the fork and bear right onto Crim Road. Take Crim Rd. up over the mountain, the Crim Elementary School will be on your left (over flow parking is here) the entrance to the park is on your right across from the school. DO NOT PARK ON THE LEFT HAND SIDE OF THE ENTRANCE INTO THE PARK. Use parking lot. Rt. 287 north to Rt. 22 westbound exit (left lane exit). Take Rt. 22 west a short distance and exit at N. Bridge St. (1st overpass). Go up ramp, bear right onto N. Bridge Street. Turn right onto Mine Road. FOLLOW DIRECTIONS ABOVE to fields. Route 202/206 to Rt. 22 East. Go to N. Bridge St. exit (Just past Wendy's). Go up over Rt. 22 and follow FROM SOUTH directions above. Rt. 78 east to Rt. 287 south. Follow FROM NORTH directions above. Rt. 22 east to N. Bridge St. exit. Follow FROM SOUTH Rt. 202/206 directions above. Route 22 west. Follow FROM SOUTH Rt. 287 directions above. 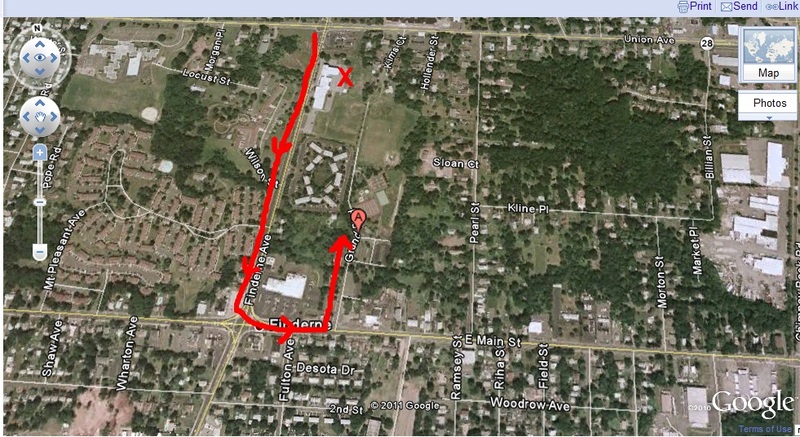 Directions: MOST IMPORTANT when at Harry Ally Park ALL PARKING is in the parking lot off of Grand Blvd. which you can access from Union Avenue (DO NOT PARK IN THE PEOPLE CARE PARKING LOT). Failure to do so will result in your team losing the privilege to train on that day. Rt 287 North to the Rt. 22 East exit. Come down ramp, go a short distance, and make a U-turn at the Thompson Ave. exit. Follow directions FROM NORTH above. Rt. 22 East to U-turn at the Thompson Ave exit. Follow directions FROM NORTH above. Exit at I-287 South and travel southbound, staying to the right where 287 splits, and continue approximately 3 miles to Exit 17 - Route 202/206 South. Stay in the right lane for the quick exit onto Commons Way. Turn right at the traffic light off of the exit ramp. The municipal field is right before the traffic light. Exit at Commons Way (just past North Bridge Street exit). Proceed through 5 traffic lights. The municipal field is right before the traffic light. Exit at I-287 South and travel southbound and continue approximately 3 miles to Exit 17, Route 202/206 South. Stay in the right lane for the quick exit onto Commons Way. Turn right at the traffic light off of the exit ramp. The municipal field is right before the traffic light. Exit at Route 202/206 North / I-287 North and continue northbound. Exit at Commons Way and turn left at the traffic light off of the exit ramp. Proceed through one traffic light. The municipal field is right before the traffic light. Exit Route 287 from left lane at Exit 14B (Route 22 West). Travel west 2.3 miles to Commons Way exit (just past North Bridge Street exit). Proceed through 5 traffic lights. The municipal field is right before the traffic light. Stay to the right where Interstate 287 splits just south of Interstate 78 and continue to Exit 17, Route 202/206 South. Stay in the right lane for the quick exit onto Commons Way. Turn right at the traffic light off of the exit ramp. The municipal field is right before the traffic light. Take Main Street (Rt 28) east out of downtown Somerville and past North Gaston Avenue. Just past North Gaston Avenue, make a right into Loeser Avenue. Pass under the railroad tracks and make the first left onto Nimitz Street. Take Nimitz Street to the end and the complex will be in front of you.